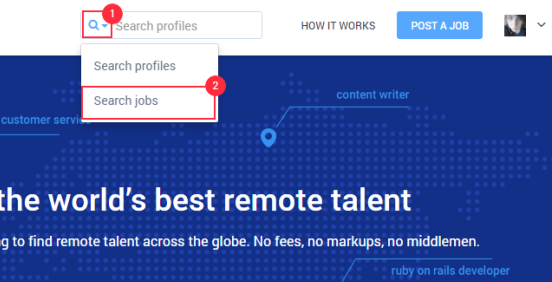 To search for jobs in Hubstaff Talent, activate the drop-down in the search bar and choose “Search Jobs” and type in the keyword for the job you are looking for. 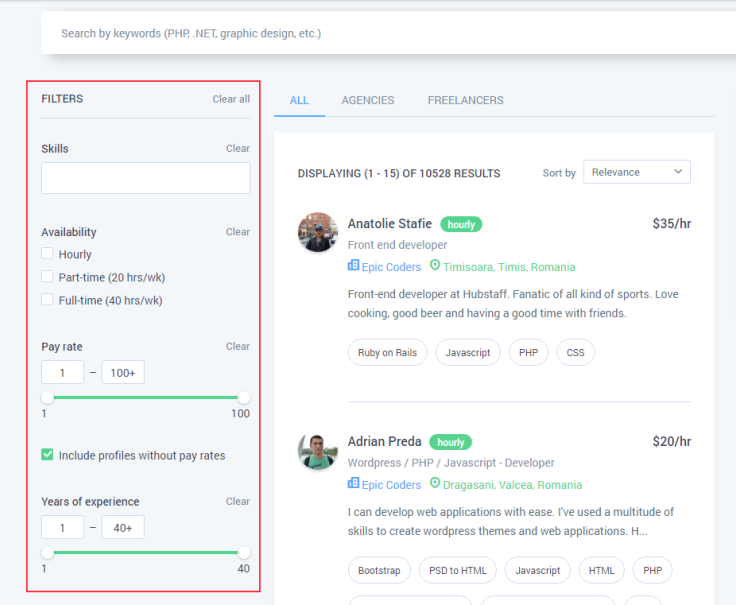 On the search result page, you can then apply custom filters to specify your search. Profiles that are set to PRIVATE (Only Me) cannot submit job applications. 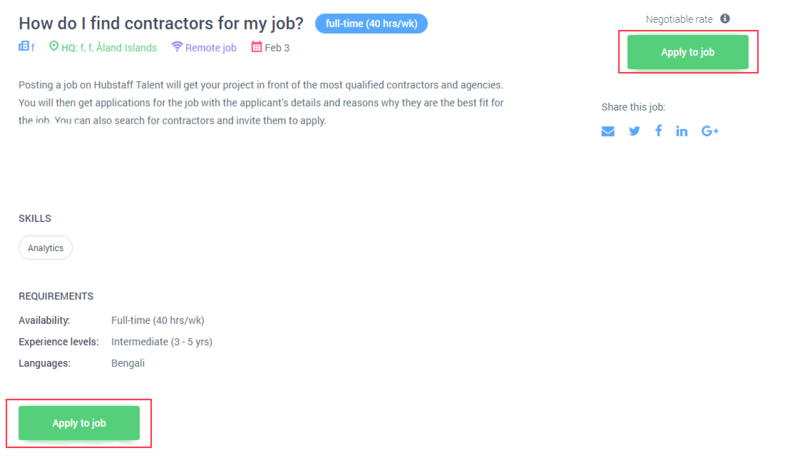 After clicking on the “Apply to job” button, a pop up window will appear asking you which profile of yours (freelancer profile or agency profile) you wanted to use to apply for the job. 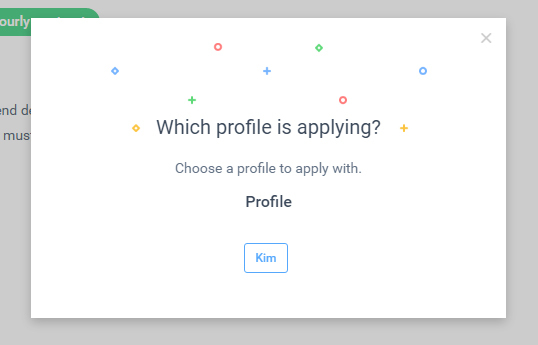 After choosing the profile, you’ll be redirected to the page where you’ll be asked to answer some questions regarding your job application then send your application.